At only 5-foot-7, did Anthony Jerome "Spud" Webb even stand a chance against Dominique Wilkins in the 1986 Slam Dunk Contest? 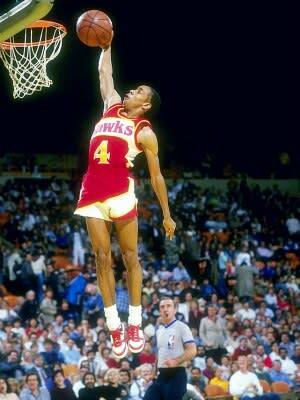 Webb even claims that Wilkins had "never seen me dunk" before that memorable night. However, when the competition got underway, Spud proved that he not only belonged but that he had a good chance of capturing the trophy. And he did just that. See, size doesn't matter! Pause.